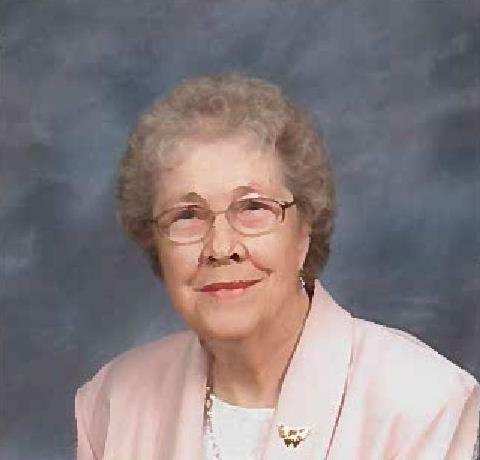 Marion L. Plato, age 91, of Wautoma passed away Tuesday morning, March 26, 2019 at Juliette Manor in Berlin. She was born Sept. 14, 1927 in Beaver Dam, the daughter of William and Emma (Wolf) Ziebell. She married Raymond L. Plato on Sept. 17, 1947 in Beaver Dam. He preceded her in death on Sept. 24, 1994. Marion was a 1941 graduate of St. Stephen’s Grade School and Beaver Dam High School in 1945. Following marriage, she and her husband resided in the Reeseville/Beaver Dam area until 1959, when they moved to Horicon. They built and operated Country Acres Mobile Home Park until 1972. They moved to rural Wautoma and operated the Browse and Buy Country Discount Store for several years. Later, she worked at Ray’s Closeouts in Hancock until her retirement in 1991. She enjoyed embroidery, crocheting, sewing, reading, gardening and feeding the birds. She loved butterflies and enjoyed collecting them. She will be fondly remembered as a loving and caring mother. She was a member of Grace United Methodist Church in Wautoma. In addition to her husband, she was preceded in death by her parents; two granddaughters, Angie Darling and Amanda Kraus; one great grandson, Jayden Newell; two daughters-in-law, Joyce Plato and Judy Plato; three sisters, Norma (Vilas) King, Delores (Felix) Scharschmidt, Janet (Richard) Schreier; two brothers, Harvey Ziebell, Orrin (Edna) Ziebell; her sister-in-law, Arlene Ziebell; and by her special friend, Ben Ernst Sr.
Visitation will be held on Sunday, March 31, 2019 from 1:00 p.m. until the time of funeral services at 3:00 p.m. at Leikness Funeral Home in Wautoma. The Rev. Rafael Cubilette will officiate and burial will be Richford Cemetery. The family extends heartfelt appreciation to the staff of Juliette Manor and Agnesian Hospice Hope for the loving and compassionate care of Marion.